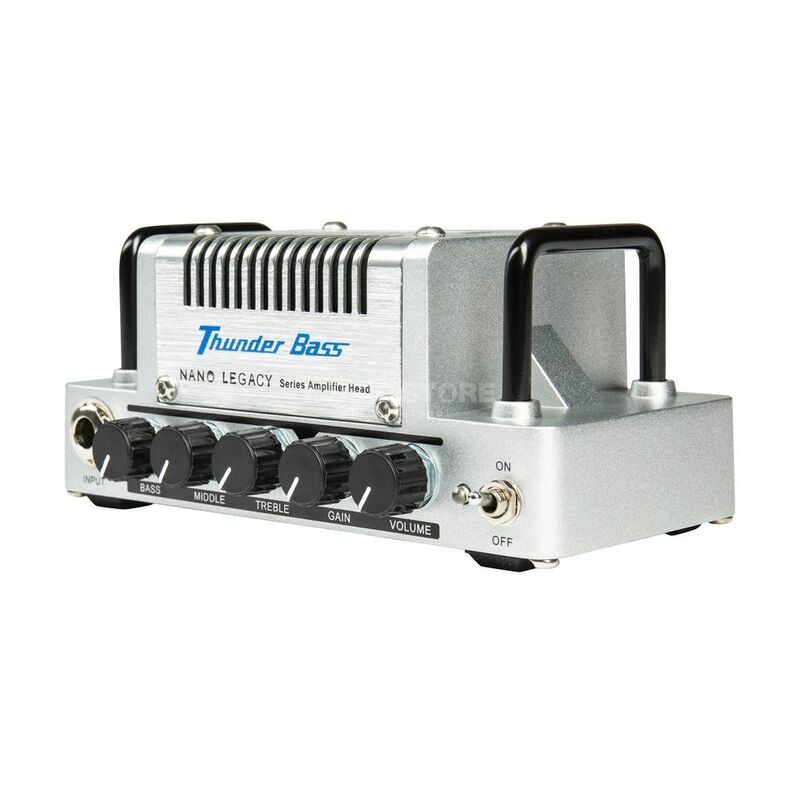 Thunder Bass is a 5W Class AB Bass Amplifier Head. In the wake of the ever-increasing costs of concerts and tours, many manufacturers are focusing on mobile and especially easy setup solutions. Hotone is leading the charge with very light but powerful amplifiers. The Nano Legacy Series offers several classically inspired amps with 5-watt output in a compact housing that easily fits on any pedal board. The features of each model includes a headphone jack and an effects loop. Thunder Bass– is the name of the game! This head is based on the most popular Bass amplifier of all time, but only weighs a fraction of the original. The Thunder Bass delivers a growling, rolling sound of the American Bass Giant in a tiny housing with a 5 Watt output not to be underestimated.